This will be a little different from the usual EFL teaching abroad articles. For one thing, the post I am talking about is a volunteer post. “Why should I volunteer as a teacher, when I need money?” I hear you cry. Well here’s the thing. If you want to visit a very unusual place, and live and travel there for free, and have yourself a unique experience, then this is how you can do it. 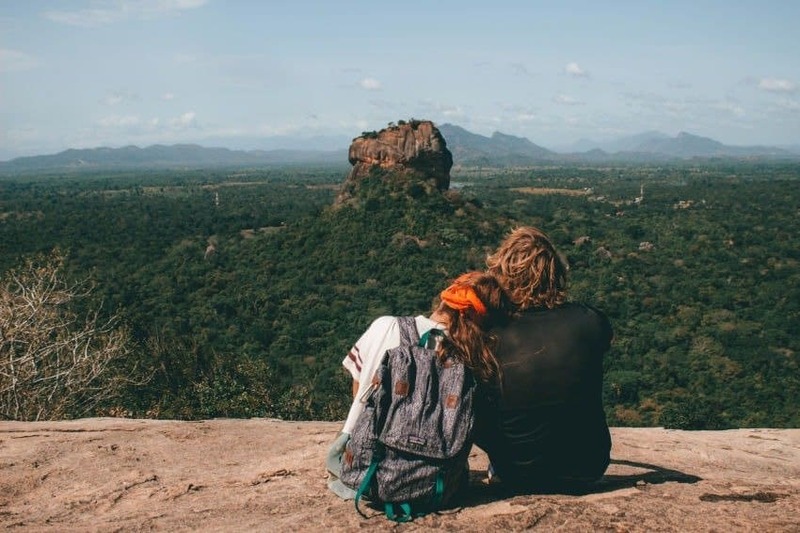 Is volunteering to teach English in Sri Lanka right for you? It all started when I saw an ad in www.eslcafe.com looking for teachers to come and teach in a place called Anuradhapura, Sri Lanka. No, I had never heard of it, either so I googled it. Turns out it’s a UNESCO world heritage site and the center of Sri Lankan Buddhism. The job was to teach the monks for a month at the only Buddhist University in the country (or the world? I am not sure about this). Anyway, the deal was- reimbursed airfare, free accommodation and food and free trips organized around the country, accompanied by the monks. Well, what did I have to lose, I thought. One month? So my husband and I applied. Had a brief interview with the monk in charge of the program, the Reverend Piyaratha, and one with an English guy called Paul, who is running a variety of volunteer programs in the town. And then we got accepted! The program was to teach the monks for a total of 20 days, and then the remaining days of the visa we were free to travel around. The monks were amazing and really great to teach. They were all graduates, mostly MA but some were PhDs and their fields were things like Buddhist Philosophy, Meditation, Sanskrit Language and so on. So as you can imagine they were pretty interesting guys to talk to. The classrooms were air-conditioned and equipped with projectors and computers with fast internet. We had two classes, one intermediate and one advanced, and we taught them for a total of 6 hours per day, 6 days a week. There were of course tea and meal breaks. The accommodation provided by the University included transportation to and from the classes and also into town when we wanted to eat out or buy stuff at the supermarket. (We were also provided with a local sim card with data.) Sometimes we went to school by tuk-tuk, and sometimes on the school bus together with the monks, whose dorms were nearby. We had monkeys, peacocks and dogs prowling around outside our house, and sometimes even jackals! The campus was beautiful, and the place was cleaned for us by lovely smiling cleaning ladies. On our free days, we had tours organized by the monk in charge, the Reverend Mediyawe Piyarathana. He was extremely solicitous and was continually wanting to know if everything was okay or if we needed anything. He took us to all the sacred temples around the city, explaining various customs and traditions. He also introduced us to the monks in charge of those temples, and we were treated throughout as honored guests. The physical conditions at Anuradhapura may not be for everyone. Of course, like all developing countries you cannot drink the water, and there are many mosquitos there. The food was also a bit strange, especially sometimes when we were invited to the monks’ houses. But it was certainly very interesting. There is not much in the way of modern places around the town. Maybe there are more, but we were only there for a short time. There was a Pizza Hut, and a couple of restaurants, but the local food was very very simple. But there is no shortage of wonderful tropical fruits- mangoes, guavas, papayas, lychees, and many different varieties of banana. All the local food was incredibly spicy- you have been warned! At the end of our course, we told the Reverend we wanted to go off on our own for a while. There was a ceremony held for us, at which we were presented with an engraved gold plaque, thanking us for our efforts on behalf of the university! We felt like rock stars! The monks asked us repeatedly what gift we would like from them. We insisted that it was not necessary. So they eventually collected money and gave us a very generous gift which covered the rest of our stay on the island- transportation and a hotel at the beach town of Trincomalee for 3 days and another 2 days stay in the capital city of Colombo. We were transported by private car to the beach in a University vehicle. The beach at Trincomalee is the kind of beach you see in the shampoo ads: perfect white sand and blue sea, tall waving coconut palms and pretty little blue fishing boats. You can snorkel and dive there and you can get up at dawn to take a dolphin or whale watching trip. There are lots of nice little fish restaurants along the beach where you can relax and enjoy the view. There are also a few historic sites and temples you can visit, and the feel of the town is very touristy and different from Anuradhapura. There are very cheap tuk-tuks which will take you anywhere you want to go, and a large selection of hotels and cheap hostels to choose from. We ended our month in Sri Lanka in Colombo, which unfortunately we didn’t have much time to explore, but we felt that all the wealth of the country was centered there. There were lots of very swanky hotels, and smartly turned out people, and a couple of nice museums and art galleries. The only thing we managed to see was the wonderful Galle Fort Sea Promenade, which was lovely and full of local color and street food. So if you are looking only at making money and saving, this gig will not be for you. But if you are a traveler at heart, and also a teacher who likes to make a difference, you might consider volunteering. Paul’s organization www.giveafigvolunteering.com has a number of volunteer opportunities to offer. You can also contact the Reverend Piyarathana by email ([email protected]) or skype (piyarathana78). You will meet amazing people and learn a lot about a totally different culture. You might even get a full-time job out of it. There are all sorts of opportunities there – you just have to go and find them. Ruth Sheffer began teaching English as a Foreign Language in a high school in Jerusalem at the age of 24. After raising her family, she and hubby took early retirement and set off to discover the world.